Marijuana legalization bills get filed in Guam and the District of Columbia, the Global Drug Policy Commission asks Obama to commute more sentences, Chris Christie vows to fight drug addiction during his last year in office, and more. Guam Governor Files Legalization Bill. Gov. Eddie Calvo Tuesday introduced a bill to legalize marijuana on the US island territory. "I am introducing this bill, not because I personally support the recreational use of marijuana, but as a solution to the regulatory labyrinth that sprouted from the voter-mandated medical marijuana program," Calvo said in a press release. The measure would legalize marijuana for people over 21 and impose a 15% tax on sales. Medical marijuana patients would be exempt from the tax. DC Councilmember Files Bill for Legal Marijuana Commerce and Regulation. Councilmember David Grosso Tuesday filed a bill to establish a full tax and regulatory framework for legal marijuana commerce. If passed, the bill would put the District in conflict with Congress, which must approve city spending. But Grosso said that Congress had forced the District's hand with its meddling in city affairs. New Jersey Governor Vows to Heighten Fight Against Drug Addiction. In his final state of the state address, Gov. Chris Christie (R) said he will spend his last year as governor fighting drug addiction. "Our state faces a crisis which is more urgent to New Jersey's families than any other issue we could confront," Christie told the legislature in Trenton. "Beyond the human cost, which is incalculable, there is a real cost to every part of life in New Jersey." Christie is pushing for treatment instead of jail for nonviolent drug offenders, expanded drug courts, and expanded needle exchange programs, among other initiatives. Federal Bill to Clear Way for more Surplus Military Gear for Police Filed. Rep. John Ratcliffe (R-TX) has filed House Resolution 426, which would bar the federal government from limiting the sale or donation of excess federal property to state and local agencies for law enforcement purposes. The bill is a response to the Obama administration's short-lived decision last year to block the transfer of military-style equipment to domestic police forces. Global Drug Policy Commission Asks Obama to Free More Prisoners. In an open letter to the outgoing president, the commission, which includes a number of former heads of state, thanked Obama for his efforts to shift from a punitive approach to drugs, noted that he had freed more than a thousand drug war prisoners through his clemency program, and asked for more: "We hope that in these final days of your presidency, you will use the power of your office to commute even more prison sentences of low-level drug offenders, and restore dignity and hope to their lives," the commission wrote. "May your example inspire not only your successor, but also governors across the country." Colombia Coca Cultivation Set to Increase. Colombia's post-conflict minister, Rafael Pardo, said Tuesday that coca cultivation will increase this year, the third year in a row that has seen increases in the country's coca crop. Pardo said part of the reason was the government's turn away from using aerial eradication, but that a bigger part was the government's devaluation of the peso, which dramatically increased profit margins for drug traffickers. Iran Starts New Year With Spate of Drug Executions. The world's leading drug executioner is at again. 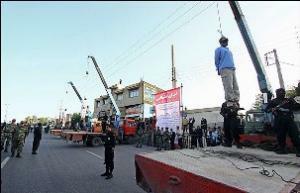 In the first week of the new year, Iran executed 16 people, 10 of them for drug offenses. Iran executes hundreds of people each year, with drug offenders accounting for an increasing number of them. In 2015, the last year with full statistics, 66% of all executions in Iran were for drug offenses. Another 12 prisoners were set to be executed for drug offenses this week. Help the economy, the environment, and the health of all, stop the destructive wasteful spending prohibiting the growth and use of hemp.